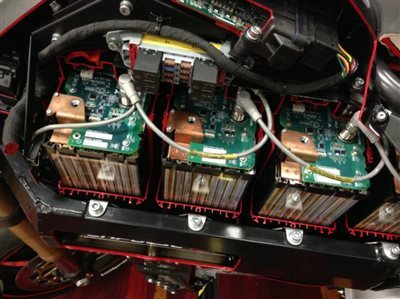 Brammo Motorsports is at the forefront of high power battery innovation. 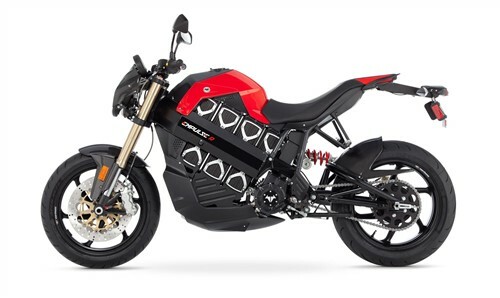 They’re a small, homegrown outfit headquartered Ashland, Oregon, with a big mission: to build some of the highest performing electric motorcycles that can hold their own against their gasoline-powered rivals – and with a considerably greener footprint. One of Brammo’s top-line models is the Empulse R, a street-legal e-motorcycle with a track-dominating racing pedigree. ItsParker GVM motor delivers precision torque and speed, developing 54 hp at 6,000 rpm, and 66 lb-ft of torque. The Empulse R tops out at over 100 mph, and was described by one reviewer as being “absolutely as involving as its [internal combustion engine] predecessors, adding a level of feel they could never have." Fueling this powertrain is the Brammo Power™ BPM1590 battery pack, a 10-kWh Lithium-ion workhorse delivering a combined city and highway driving range of 77 miles. Its nickel manganese cobalt oxide cells have a warrantee to at least 1,500 cycles, and can fully charge in less than 4 hours. The heart of the BPM1590 is TI’s latest battery management pack manager IC, which ensures a safe customer experience by maintaining constant vigil over the battery’s key parameters – voltage, current, and temperature – and disabling further charging or discharging when needed. For accurate remaining distance reporting, the patented Impedance Track™ fuel gauging algorithm in the battery management circuit monitors how much energy has been added or removed from the battery cells – all while accounting for factors such as temperature, cell aging, and more. And to maximize the life of the motorcycle, our cell balancing technology keeps all of the individual cells within the battery always at identical levels, ensuring no one cell gets weaker than the others over time. All of this translates to an enjoyable, reliable, and thrilling riding experience for the end user. We’re thrilled to have had the chance to work alongside Brammo’s engineering team to get develop and produce batteries used in existing and future motorcycles. 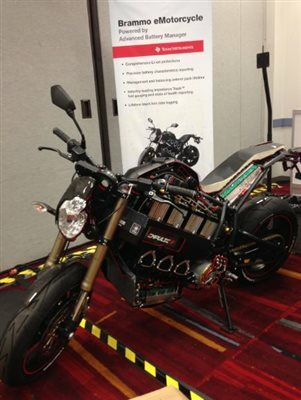 Come visit us this week in the AutomotiveZone in the TI Village at CES, where we'll be featuring a special cutaway edition of the Brammo Empulse R. This demo model exposes the innards of this massively complex performance machine, giving you a rare opportunity to see just what it takes to create one of the most advanced battery platforms out there.